Lack of progress in mental health services sees President of the College of Psychiatrists resign from HSE. This article, written by Valerie Ryan, appeared online the Irish Medical Times 18.06.18. 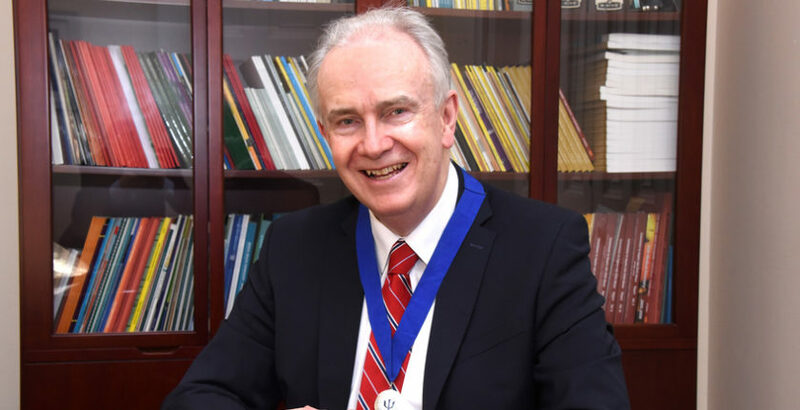 The President of the College of Psychiatrists, Dr John Hillery, resigned from the Health Service Executive (HSE) because of what he sees as so little progress in mental health services and an unwillingness for rapid change. “The fact that we are still discussing these issues as needs rather than as facts is a disgrace. It is one of the reasons I resigned my clinical post earlier this year after nearly 30 years in the mental health and intellectual disability services as a trainee and consultant,” Dr Hillery, who is a former President of the Medical Council said. The Consultant Psychiatrist made the comments in a keynote address to the Family Carers Ireland conference ‘Life after care’. “I continued to spend too much time writing memos and making phone calls advocating for respite and other supports for individuals and carers that should be taken for granted. One example being the way young people with intellectual disability and challenging behaviour lose their respite and sometimes other services once they leave school. It continues to amaze me that this was an issue when I was first a consultant, and is still an issue today. Dr Hillery said the inability for rapid change in systems and poor environments was always a frustration. The introduction of regulation of environments with the Health Information and Quality Authority provided great hope, but seemed to him to become somewhat of a box ticking exercise. “It seemed to be what is known in regulatory circles as ‘whack a mole regulation’, after the old fair ground game, where a hammer is applied to the figure whose head sticks up. He added: “No one seems to have connected the difficulties in recruitment and retention to the culture and environment of the main employer, the HSE. “Though Government ministers regularly communicate their intention for reform in the mental health services the current situation leads me to question the intent,” he added. “Our structures lack governance. The HSE has no board and an acting CEO. The main policy on mental health services A Vision for Change recommended a leader in this area but recently the last CEO absorbed the Mental Health Division into a bigger grouping thus removing the focus at the necessary high administrative level from mental health. This allied to the fact that the national budget for mental health services remains at 6 per cent when a Vision for Change recommended a higher figure 10 years ago and when that of equivalent countries is around 12 per cent gives the lie to stated commitments to services for people with mental health problems. The lack of implementation of reports and legislation, such as the Carers Strategy and the Capacity Act, which would make life easier for patients, carers and those working to support them is another sign of a lack of true commitment to change, according to Dr Hillery. Click here to see Dr. John Hillery’s full speech at the Life After Care Conference 2018.